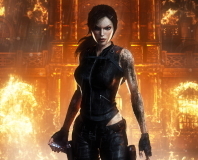 Rick reflects on the second and best of the Tomb Raider reboots. Eidos' new Tomb Raider game, Lara Croft and the Guardian of Light, will forego a retail release entirely. 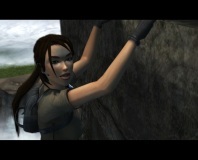 A road in Derby has been named after Tomb Raider icon, Lara Croft. SCi, parent company of Eidos and owner of the Tomb Raider franchise, is being forced to cut jobs and cancel many projects in order to stay afloat.